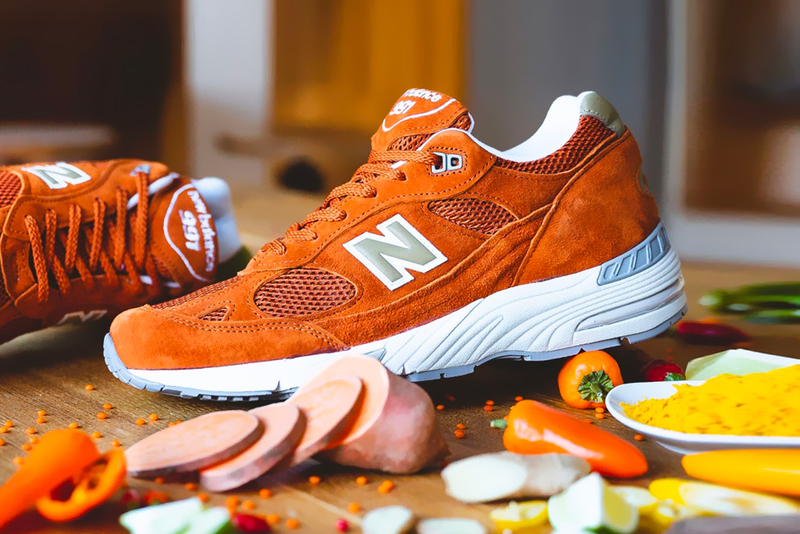 New Balance‘s M991 has been a staple model in the brand’s lifestyle footwear segment, and is now dominating the realm of vintage sneakers since its return. Reimagining the classic silhouette with modern elements, the Boston sportswear label recently brought to surface a food-inspired colorway. Coated with a dark orange hue, the mesh uppers are layered with elevated suede overlays, while a heel tab in a lighter tone houses the “991” motif. The signature “N” insignias in reflective material sit on the lateral sides. Rounding of the nostalgic look are the contrasting white midsoles with the iconic ABZORB cushioning inserts. Priced at $180 USD, the New Balance M991SE is now available on the brand’s official website and at select retailers like 43einhalb. In other sneaker news, the New Balance 997H receives an upgrade from UNITED ARROWS.